This past weekend, five of our VEX teams attended the VEX World Championships in Anaheim, California. Our five teams were distributed among five separate divisions and played ten matches each. Qualification matches began on Thursday afternoon, continuing through all of Friday and concluding on Saturday morning. Our teams met varied levels of success during qualification matches; the level of competition at Worlds was incredibly high.  When matches concluded on Saturday, team 254D ranked highest, seeding 16th with 7 wins, 2 losses, and one tie. They were also the only team to be selected for eliminations, which happened in the afternoon. In divisional quarterfinals, 254D, with the drive team of Eli Wu, Andrew Torrance and Goutham Gnanasekaran, faced off against top-ranked Fuxing High School and former world champions, Green Egg Robotics. They managed to win an incredible upset in the first quarterfinals match, but lost the second match and in a stroke of bad luck lost the tiebreaker match when one of their alliance robots fell over early in the match. Despite this setback, we are all proud of having made it so far at World Championships. Team 254 also excelled off the competition field. We were recognized during the tournament for the website award, which we tied with Team 1114 for 1st place in the world. 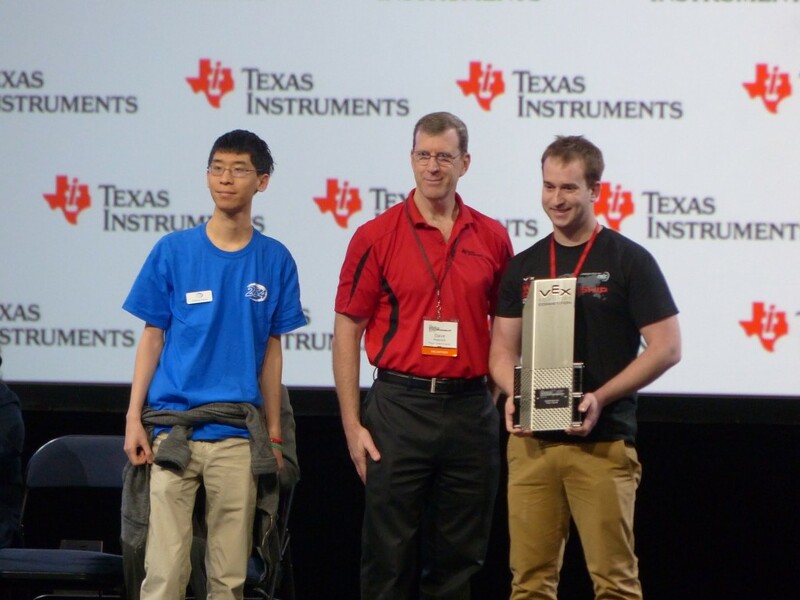 In addition, our mentor Pat Fairbank, who has worked tirelessly over the year to ensure the success of our VEX program, was recognized for his efforts by winning the Mentor of the Year award, becoming one of only 2 mentors from around the world to win the award this year. 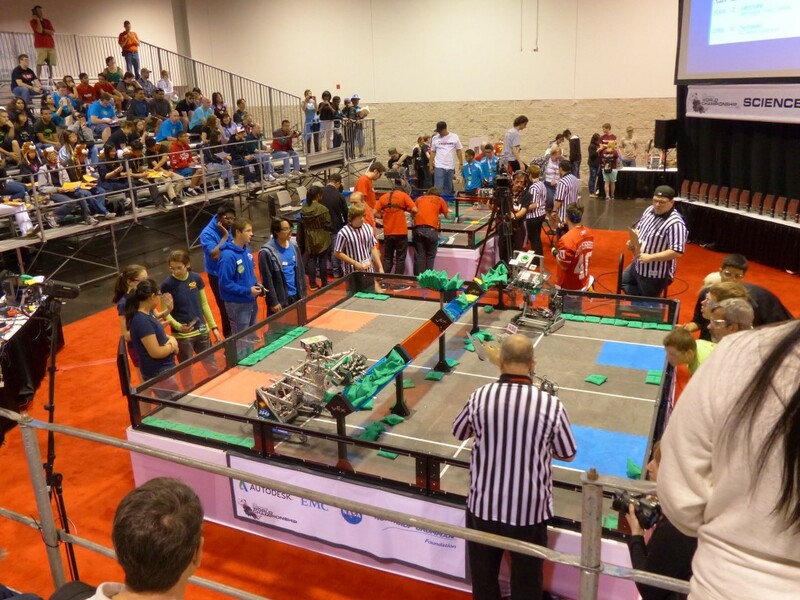 Next years’ VEX game, named Toss Up, was also revealed at World Championships on Friday evening. Many of our team members have already gotten to work planning for this new game and thinking about possible designs for next season. The 2012-2013 VEX season has officially ended, but our team members are already eagerly looking forward to making the 2013-2014 season a great one for Team 254.